President Muhammadu Buhari has invited key players of June 12 struggle to the conferment of posthumous Grand Commander of the Order of the Niger (GCON) on Chief Moshood Abiola. Among the top key players invited by President Buhari include human-activist Wole Soyinka and Senior Advocate of Nigeria (SAN), Femi Falana. This was disclosed on Friday by the Secretary to the Government of the Federation, Boss Mustapha in a statement on Friday. Also, all governors elected under Social Democratic Party of Nigeria (SDP) platform are invited to the investiture scheduled to take place on June 12, 2018, at the State House, Aso Rock Villa, Abuja. This invitation follows the announcement of June 12 as Democracy Day and National Holiday and announcement of honour on Chief Gani Fawehinmi as the Grand Commander of the Order of the Niger (GCON) and Ambassador Babagana Kingibe with the Grand Commander of the Order of the Niger (GCON). The family of the late Bashorun M.K.O. 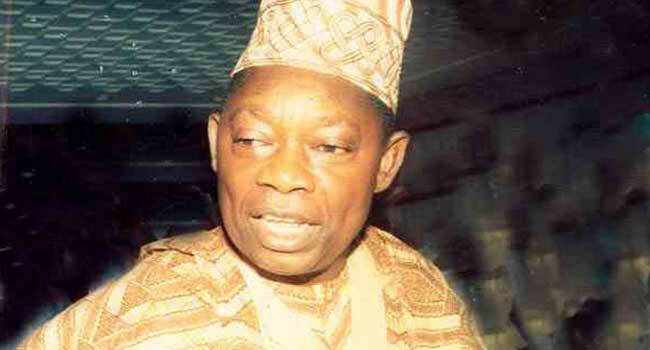 Abiola and that of Chief Gani Fawehinmi, alongside and Ambassador Babagana Kingibe were invited. The national leader of the All Progressives Congress (APC), Bola Tinubu and former APC national Chairman, Bisi Akande were also invited. Also on the guest list are Members of the National Executive Committee of the SDP including States Chairmen and Secretaries at the time of June 12, 1993, Former Senate Presidents – Iyorchia Ayu and Ameh Ebute and Speaker Agunwa Anekwe along with Principal Officers of the National Assembly elected under SDP platform, Speakers of the States Assembly elected under SDP platform, and All Chairmen of the States Traditional Councils from the six South-Western States. Some journalists who played a key role in the June 12 struggle were also invited – Bayo Onanuga, Kunle Ajibade, Nosa Igiebor, Kayode Komolafe and Senator Jonathan Zwingina. Others are Comrade Frank Ovie Kokori, Ms. Ayo Obe and Professor Humphrey Nwosu. Senate President, Bukola Saraki, Speaker Yakubu Dogora, Principal Officers of the National Assembly, Members of the Federal Executive Council and all State Governors will also be at the event.